Anyway, I remembered a situation from my first game tonight which really didn't make much sense and came out of nowhere. I retconned certain aspects of the world in the third game, not really thinking about how it would affect this specific situation as I had mostly forgotten about it, but strangely enough it makes total sense now. Many people would assume that retcons are inherently bad and that an author should plan his story from start to finish to avoid using them, but it really depends on how the retcon fits into the overall picture. In my example it adds another layer to it without directly contradiction the events of the game. That's not to say that there aren't issues with it but that's to be expected for something that I made up as went along. I'm still surprised how well it all fit together in the end. So let me use another example: Metal Gear Solid, one of my favorite game franchises. 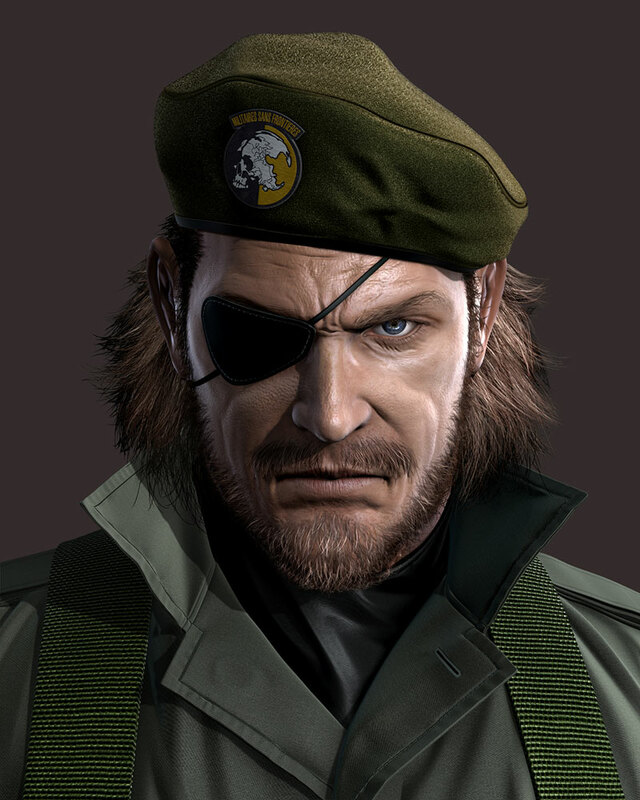 The antagonist in the first games is Big Boss, leader of Outer Heaven and Zanzibar Land, and he threatens the world with his nuclear equipped Metal Gears. So he's evil, right? Just look at him! Many years later Hideo Kojima released Metal Gear Solid 3, starring Naked Snake aka Big Boss! That game's ending as well as the subsequent games in the Big Boss Saga shed light on why he "turned evil" without directly contradiction previous events. It doesn't excuse how he tried to accomplish his goals but it still made sense. That's what I'd call a good retcon. Of course there are also bad retcons of varying degrees. One of the worst ones would be to bring a character back from the dead even though he quite obviously died. You need to come up with a really good explanation to turn this into a good retcon. In this game Solid Snake claims that Big Boss told him that he was his father during their final encounter in Zanzibar Land, but I've played Metal Gear 2 and he says no such thing, nor does he ever imply anything like that. It's not too bad of a retcon but still contradicts established events and this wouldn't be the last time Hideo Kojima changed the series' history. I still like it though and look forward to the next game, which might finally show us the moment Big Boss "turns evil". Don't be afraid to retcon your story, but make sure to add another layer to it instead of directly contradiction prior events. Of course you can have a few bad retcons here and there but be wary not to turn your story into a total mess that makes absolutely no sense! I've been pacing back and forth atop this hill for hours now, waiting for the moment when Emily would finally arrive. We've been friends for many years now but all of that might change today. Worst case scenario: We'd never talk to each other again even though she lives right around the corner. That wouldn't be much of a problem if we lived in a big city like Pagan but it's simply impossible not to run into each other when you reside in a village with less than 100 inhabitants. Emily might not hate me for what I'm about to do but what if she's unable to reciprocate my feelings? Would be kinda awkward to spend time with each other when she knows that I want more from her than she wants from me. “Goddammit, stop worrying! Just wait for her to arrive and tell her everything!” I screamed at myself, frustrated by the entire situation. The sweet voice of my childhood friend stopped me dead in my tracks. My heart was throbbing when I thought of the possibility that she might have been concealing her presence the entire time, eavesdropping on all of my trial runs where I tried to confess my feelings to a tree. I should have seen her coming up the path, shouldn't I? It's right next to me so there's no way I could have missed her! Or was I simply too distracted? Emily was standing directly behind me now, her warmth spreading all across my body, even though she wasn't touching me at all. I gulped nervously, clenched my fists so hard that my knuckles turned white and tried to gather all of my courage before I finally turned around to face her. Her crimson hair was blowing in the wind and a radiant smile played on her lips, as if she knew what I was going to ask and had already made up her mind. “No fair!” I must have sounded like a little child complaining to his mother. “I have no idea what you're talking about.” but her devious grin belied her words. I raised my right hand hesitantly and her green eyes followed it's movement curiously. Emily was surely wondering if I was going to stick to the original plan or simply make up something on the spot. My trembling hand hesitated mere inches from her cheek and didn't budge for what felt like an eternity; however, Emily was grinning from ear to ear now and forced me to continue by leaning her head to the side, gently resting her cheek in the palm of my hand. My mind must have been playing tricks on me because her skin felt strangely...wet? I was about to unburden myself when my voice failed me. Not because I couldn't take the final step...no, something was forcing itself down my throat! I didn't understand what was happening! My hands shot towards my mouth and I managed to get a hold of something slimy, which seemed to have the same consistency as Emily's skin! “What is going on? !” I uttered, or at least tried to. Emily just looked at me, still grinning from ear to ear as if nothing out of the ordinary was happening. I managed to get rid of whatever was trying to invade my body but even though I felt something moving in the palms of my hands I couldn't actually see anything. When I looked up once more Emily had been replaced by a strange person in gray robes. The timeline doesn't show every single event in the universe as I tried to keep it mostly spoiler-free, but it's suitable enough. However, no one apart from me or people who've played the games will really understand what some of the events written on it mean. But still, it might be of interest to some readers so here it is. The timeline got "a bit big" so posting it as a mere picture is kinda pointless. Picasa didn't even want to upload it. Drake seemed to fall for an eternity before the dreamworld faded away and released him into the real one. His whole body was drenched in sweat, his heart was pounding as if he'd run a marathon and his head seemed like it was about to explode. He'd never felt this awful before and was incapable of standing up, so he just rolled out of his bed and crashed to the ground. One might assume that Drake's condition had something to do with his meeting in the dreamworld but at least the headache was solely his fault, as could be extrapolated by all the empty beer bottles littering the ground. Emily might have only turned 16 but celebrations like these were rare in a village like Arlin, offering party-goers the perfect excuse to get drunk, especially because Lester, the owner of the pub, was a bit too generous with the amount of alcohol he offered. “Drake, are you okay? !” asked a worried voice from the bed. Seems like his fall had woken up Emily, who had stayed behind to help clean up the house in the morning. Of course that's only part of the reason as she could have done so without staying behind, seeing as her house was right around the corner. “My...head...”, is all that Drake managed to utter before he vomited on the carpet. Her footsteps vanished in the distance while Drake crawled towards his desk to get away from the mess he made. The voice of the Alp resonated throughout his mind but in his current state Drake couldn't tell if he had actually met this mysterious person or if he was just a figment of his imagination. Not that it would have been easier to believe if he hadn't been hung over, so he would have to make sure if his father was actually gone or not. However, even such a simple task seemed impossible at the moment. Emily returned soon after but Drake was too groggy to notice her, which led to a coughing fit because he didn't realize what was happening when she dribbled a potion down his throat. “Come on, don't be such a baby!” she reprimanded him, concern for his well-being evident in her voice. As soon as the coughing subsided she poured the rest of the bitter drink into his mouth and even though his stomach grumbled horribly he managed to prevent himself from puking a second time. His hangover didn't magically vanish from one second to the next but he was already on his feet in a matter of minutes and the world stopped spinning soon after. Of course there are substances that could have cured him instantly but no one in Arlin was proficient enough to brew such high-quality potions and buying them was completely out of the question, especially because the village was located in the middle of nowhere and driving across the bridge to Pagan would have taken hours. Drake sat on his desk and watched Emily clean up the floor while trying to gather his thoughts. If his father had actually left in the middle of the night he would have to follow him as soon as possible without alerting Emily. She might not be much of a fighter but tended to win most of their arguments and would surely tag along if she suspected that anything was wrong. Obviously there was still the possibility that nothing out of the ordinary had actually happened, even if his father had left the house. Maybe he was just out for a walk, reminiscing about his wife who had died during Drake's birth. Or maybe he was playing poker with the guards, who tended to fall asleep otherwise as nothing bad ever happened in the village. However, the mere possibility that his father might be in danger was worrying enough. Drake had never seen magic with his own eyes but he didn't doubt that something like the Alp could actually exist. “I think I'll get some fresh air. I'm still a bit dizzy.”, he said at last and got ready to leave. “Seriously? You're going to let me clean up your mess on my birthday while you take a walk all by yourself?! You could at least wait for me!” she actually sounded a bit mad now. “I'll just take a coat then!” she said matter-of-factly and he knew that arguing would be pointless, so he just went downstairs, stealthily taking his sword with him as Emily went back to work. As Drake reached the bottom of the stairs he noticed that something was missing: Opposite the door of the entrance hall was a beautiful display case, which normally contained an impressive piece of armor and a sword with a gorgeous golden hilt, both of which were gone now. Checking the bedroom seemed to be pointless but he did so anyway, only to find it empty. The bed appeared to be freshly made, as if no one had slept within it in since the previous night. There was no time to waste but he still had to get rid of Emily. He might be able to leave the village before she was done but unless he managed to climb over the walls one of the guards would surely be able to tell her where he went. The bridge to the Paternity-Forest had collapsed years ago and no one had bothered to repair it so there were only three places where he could possibly go and all of them could be reached by going north, so that's all she would have to do if she wanted to catch up to him. As Drake closed the bedroom door he lost control over his legs, forcing him to grip onto the door knob as hard possible to prevent himself from crashing to the floor again. He regained his footing seconds later but it was obvious that he still needed some time to recover...and with that thought in mind he smiled.